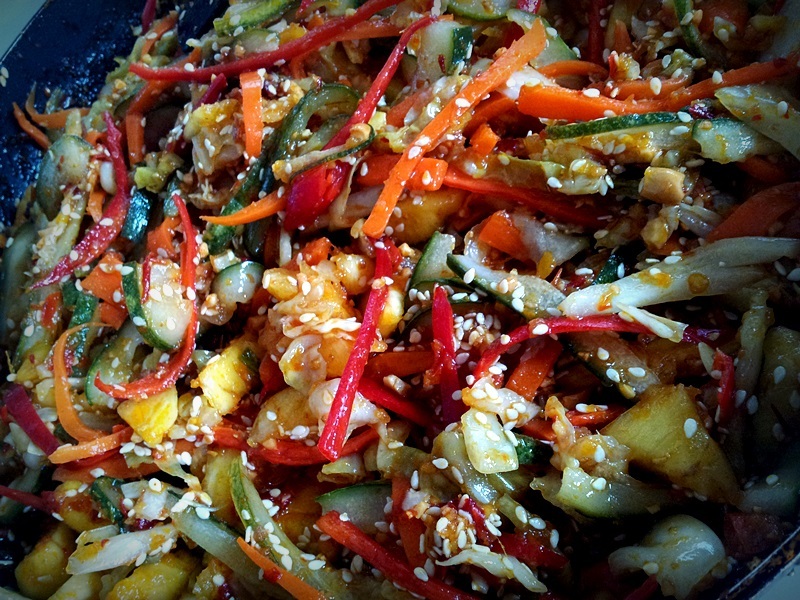 If you like spice, something sour and veggies, then you will like this dish. 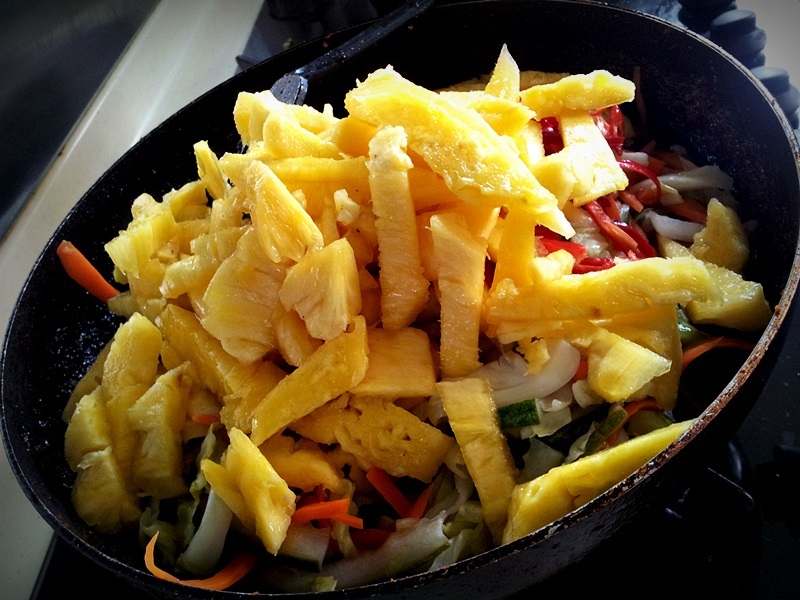 This dish is a great accompaniment for any meal or snack if you just want to munch on something in the afternoon. The ingredients (including the candle nuts and dried chilli) in the clear plastic plate on the right should be set aside to blend for the chilli paste. You will also need belachan (2 tsp) for blending. But before that, wrap the belachan in aluminium foil and throw in over together with your peanuts and white sesame seeds to toast. Do until the fragrance of the belachan is out. 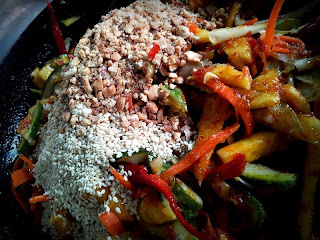 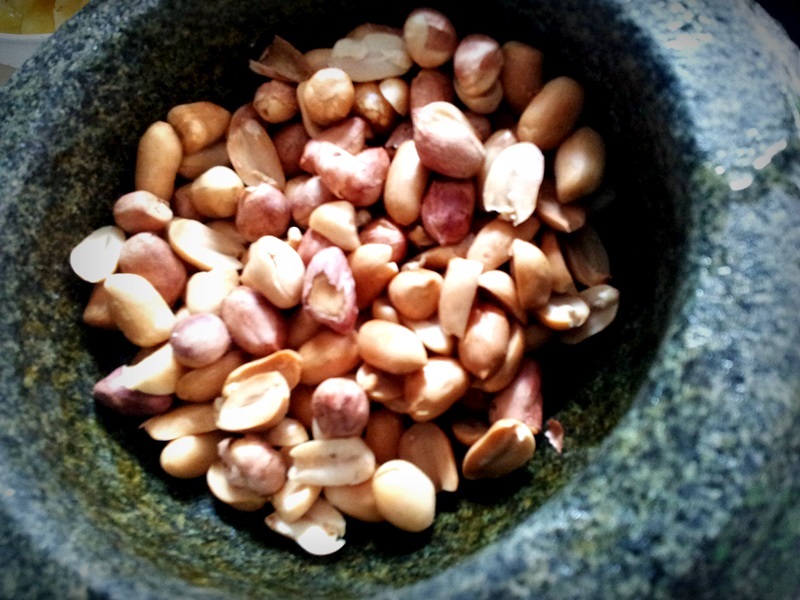 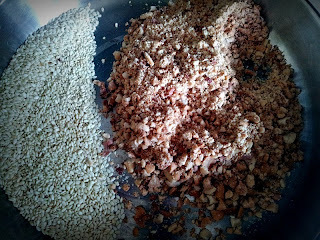 As for the peanuts and sesame seeds, put in over till it is lightly browned. 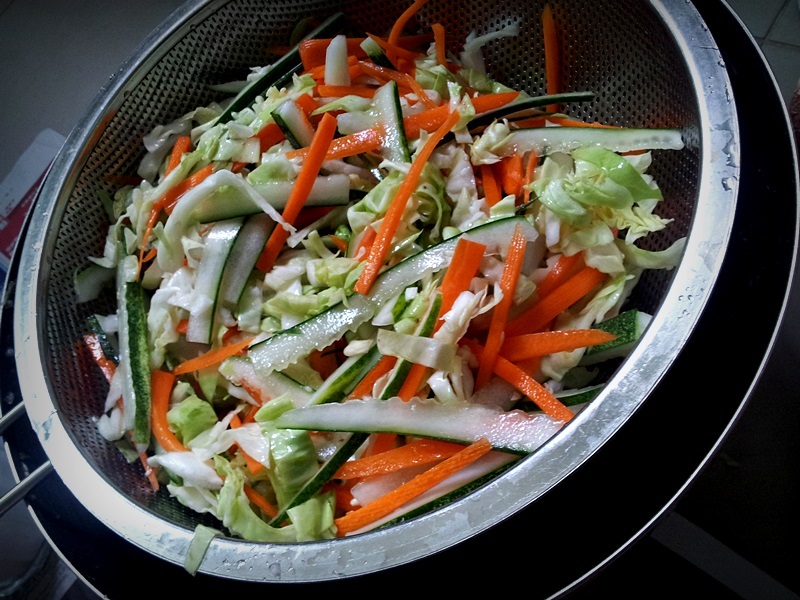 1) Start slicing up the vegetables. 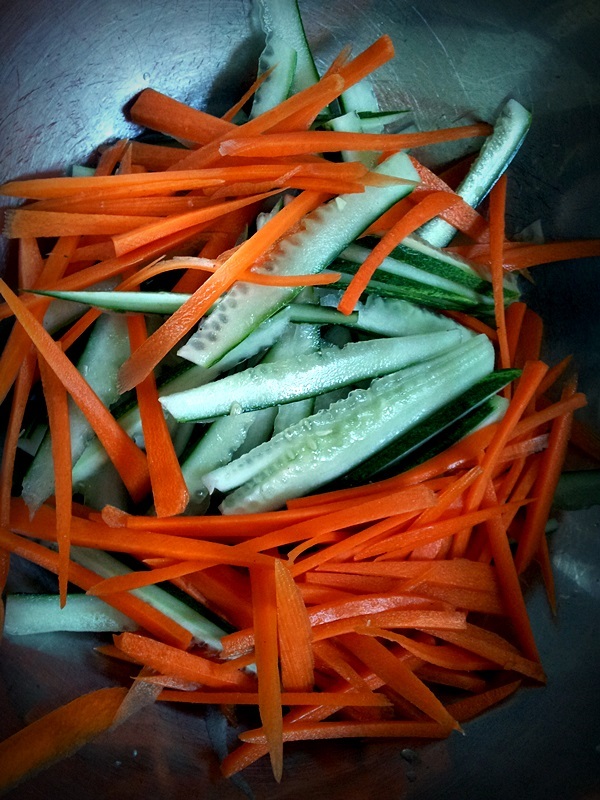 Cut it length wise in strips. 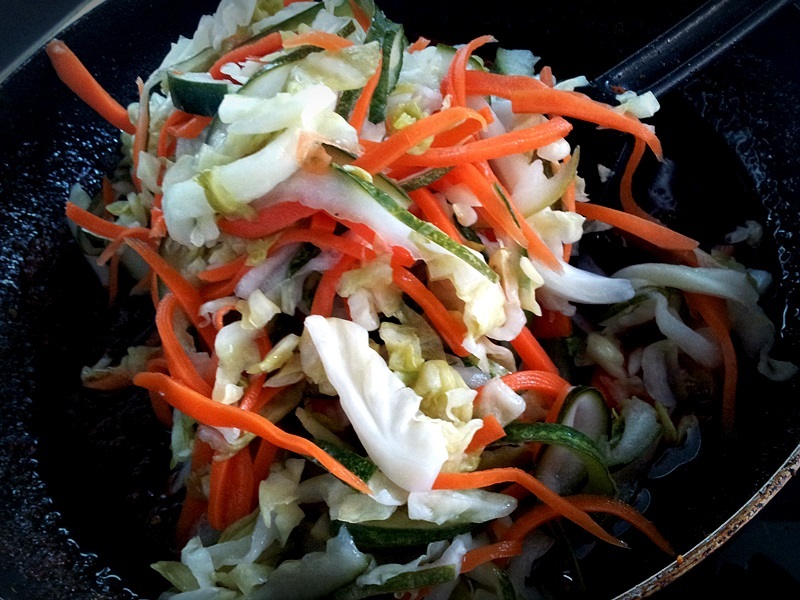 Not too thin as you would like some crunch in the veggies when you eat. 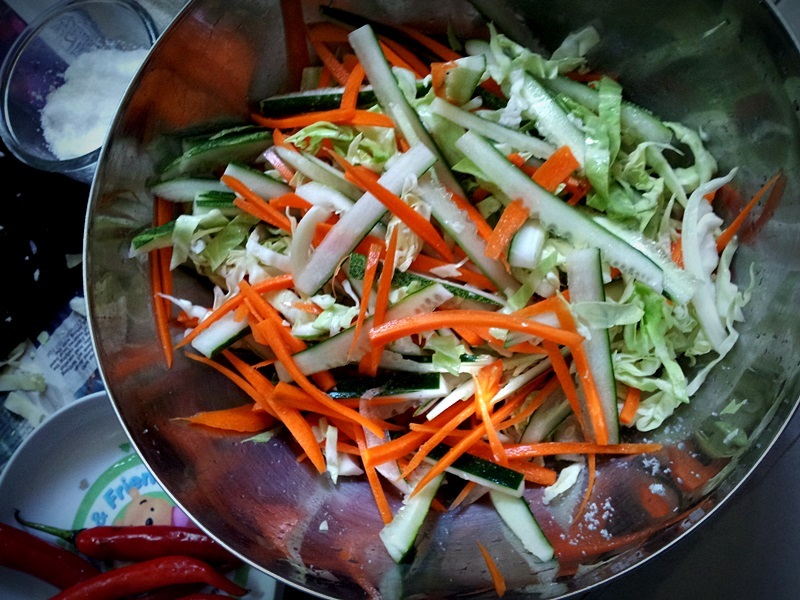 Remove the seeds in the cucumber. Keep the skin of the cucumber. 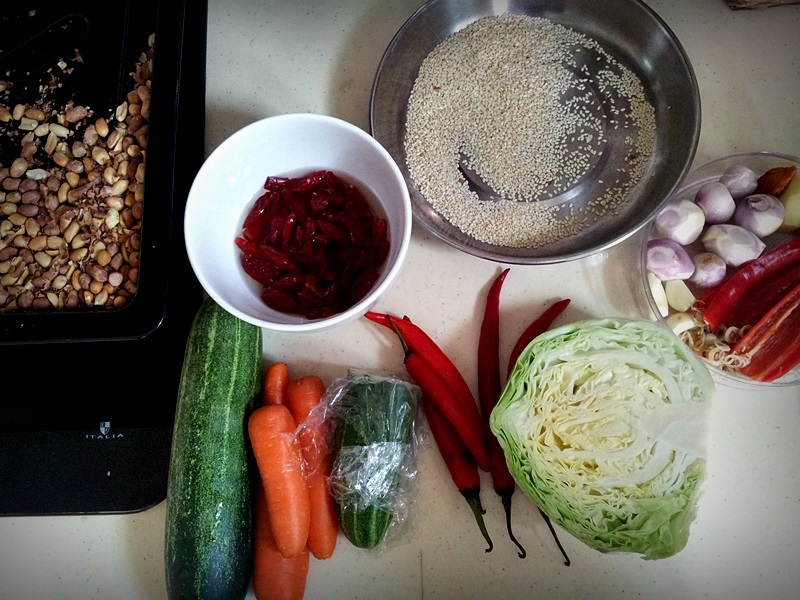 2) After slicing the cucumbers, carrots and cabbage, season it with a handful of salt and toss with your hands. 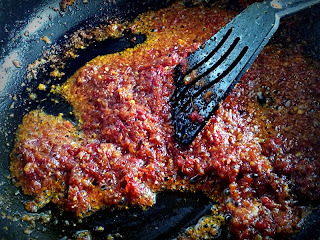 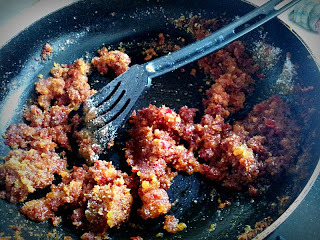 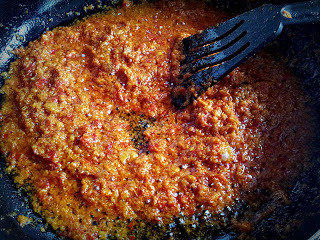 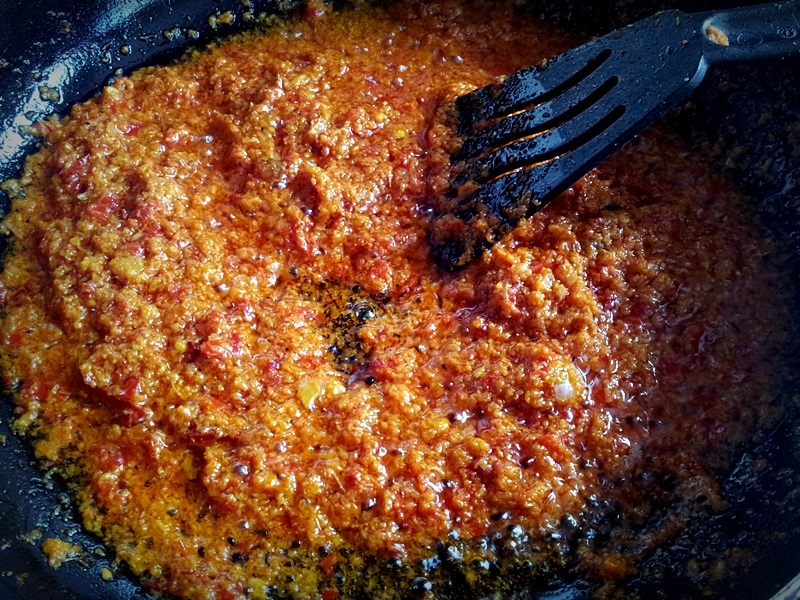 6) Start preparing your chilli paste by blending the ingredients found in the clear plastic plate in the first picture. 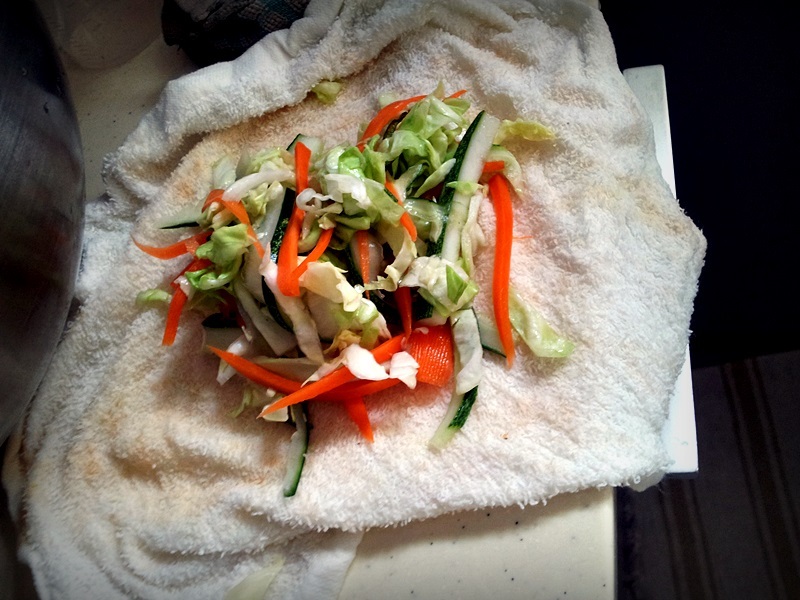 10) Next, you take the rested veggies and squeeze dry all of them part by part, using a clean cloth. 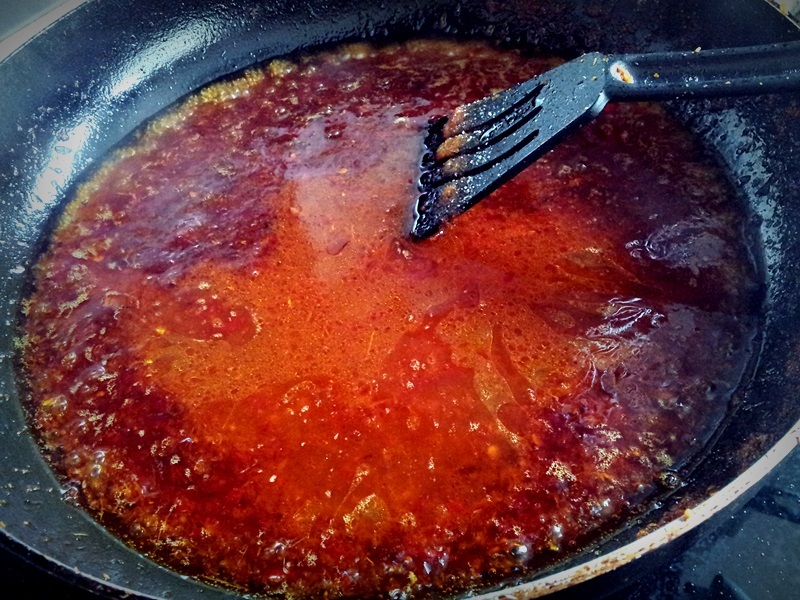 11) Set up a pot of boiling water (400 ml of water), 150 ml of vinegar, 1 TB of sugar, 1 tsp of salt. Then, put the "squeeze-dried" veggies into the pot for only about 8 seconds. Then off the fire and drain the water from veggies with a strainer. 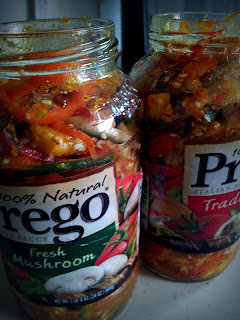 16) Finally, just transfer to glass containers for storage in the fridge. 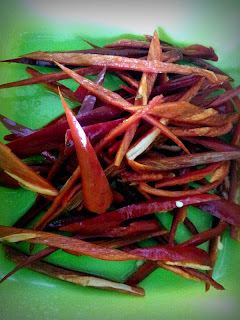 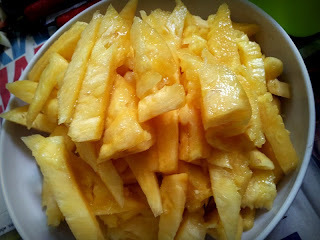 You can eat this with chicken rice, for dinner, or just munch it as a snack when you are hungry!